"You should write a novel!" is a laudatory comment I often receive nowadays, especially since I have been writing this blog. A good friend wanted to know when I would actually move beyond the blog. That's no easy request to fulfill. 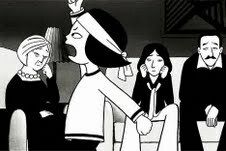 It would be like asking a comic strip writer to make a film, something Marjan Satrapi managed to do with Persepolis! Moving from a blog to a novel would be like asking a photographer to paint. Writing novels are for novelists who have the skill set necessary to create fiction . I doubt I will ever write a novel. The only fiction I enjoy is the one I read. I can comment on fiction endlessly. Perhaps I lack the creativity. I cannot imagine giving birth to a scenario. The novel used to be a new genre, as illustrated by the meaning of the word "novel"! In Arabic or Persian literature, it took even longer for the novel to pierce through centuries of poetry. Today, in the same way as the novel appeared, a new genre of fiction has nestled itself between journalism and essay writing. It is called the blog. An intellectual friend scolded me when I attempted to compare the winner of the Nobel Prize of Literature Coetze, whom I barely comprehend, to Pulitzer Prize of Journalism winner, Judt whose writing feels crystal clear to me. Admitted, it is like comparing apples and oranges, a novel and a journalistic editorial. So where do we bloggers fit in this ever more expansive world of writing? Rimbaud and Verlaine, Baudelaire and Apollinaire were poets and exclusively so. They wrote without thinking, as they wrestled with their "spleen" or celebrated their romantic feelings. They often wrote under the influence of alcohol and they sang its praise, like Hafez and Rumi did, or screamed the anguish of the addict. They did edit and assemble their verse and often followed the strict edicts of poetry, rythm and rhyme. They produced a poem at a time, gems that are passed from one generation to another, learned by "heart". There is nothing specifically poetic, fictional or factual about my blog. It is a cocktail of all these things. Could I ever write on assignment? I don't believe so. I would need personal inspiration. My husband believes that if an editor comes along, wanting to "publish me", I would have to follow his direction and add the necessary to make it "publishable" in a book format. I am convinced that Khaled Hosseini did just that when he wrote the Kite Runner. I speculate that he was called to add some "taliban" to the story so Hosseini appended a few stereotypical chapters to make Afghanistan closer to the image desired by the Western audience. These chapters were commissioned. Is commissioned art bad art? Does a commissioned Farhad Moshiri jar have value because the collector chose the format, the color and the calligraphy or should one depend on the artist's own judgment or inspiration? Some may criticize Youssef Nabil for taking actual family portraits of his patrons. I think many Renaissance works were commissioned by the Medicis and are now highly esteemed. All that being said, I could not write because my audience pays me to write. For many, writing is work. Some, like Salman Rushdie, may be fortunate enough to be inspired and spew out fantastic chapters at a time. I can just imagine him waking up at night with an inspiration that would keep him writing till dusk. 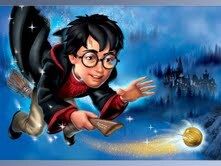 He may be pressured by editors to write, as would the writers of Harry Potter or Twilight, the best sellers of our times. Yet I believe that Harry Potter is a character that Rowling intimately created . She probably knows him as well as her own children. She has raised him like her very own. It must be a natural act for her to write about him. I personally don't go out into the world, or to a movie or an art event, looking for inspiration. I wait till it finds me. Likewise I avoid suggested topics for my blog, and never commit to writing them. In other words, I will never write a novel. It isn't me. I am a just a blogger who craves inspiration and waits for it to hit her. Some of us are born writers,others can not write two sentences.In highschool I used to compete in essay writing with other schools.My friends who were good in the sciences,used to be amazed by that,as I used to envy their scientific talents. 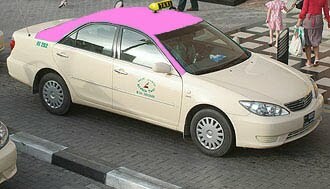 I cannot claim to be a potential writer or novelist,but I am more of a "Hakawti",which translates in Arabic,to a story teller.I have been called recently by a dear friend "Abu Blogger",because I donot miss a comment on the Pink Taxi blog.I can answer that she is the driver;I am just a passenger!